First, you start squinting to read text messages and favorite recipes, and suddenly you find yourself buying reading glasses. As we age, so do our eyes. Though weakened vision is inevitable and the chance of disease increases, there are preventive steps you can take to strengthen your eye health and solutions available to help alleviate declining eyesight. Though aging eyes will always be working against you, there are preventive measures you can take to maintain good eye health. Many eye problems can be prevented or corrected if caught early. The most crucial step is making sure you are attending regular appointments with your eye doctor. It is also important to see your primary care physician regularly to check for diseases that cause eye problems. 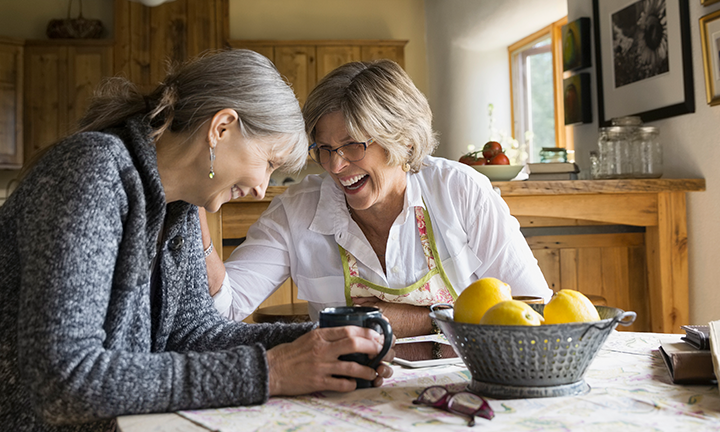 As you age, your eye health will change, and while declining eyesight is obviously not ideal, you can still enjoy an active lifestyle thanks to devices and medicines that make good eyesight easier. Here are some of the most common challenges you may run into as you age, as well as simple treatments for relief. Dry eyes are a symptom of aging eyes and can be itchy and uncomfortable. This occurs when eyes stop producing enough tears or quality tears. If you feel you are experiencing dry eyes, you can try using a humidifier in your home or see a doctor to obtain eye drops. Tears may build up a little more easily as you age, especially in bright lights, in wind or with temperature changes. To prevent tearing, use sunglasses or shield your eyes when in such conditions. You may consider seeing a doctor if tearing occurs outside of these conditions, as it could be a more serious problem, such as an eye infection or a blocked tear duct. Some people may experience floaters, or small specks that float in front of their field of vision. This is normal for aging eyes; however, it can also signify more serious eye problems. If you notice eye floaters, it would be wise to visit the eye doctor for a checkup as soon as possible. The most common sign of aging eyesight is difficulty seeing close objects or small print. Many devices could be helpful in easing this sight obstacle. You can find, for example, telescopic glasses, lenses that filter light and magnifying glasses to enlarge print. Electronic devices are also helpful, as they can be adjusted to provide larger fonts. As you age, you are also more prone to eye diseases and disorders. Many diseases can be treated if they are caught quickly, so yearly checkups are crucial to healthy eyesight. Even though you may need more doctor visits than you are used to, these checkups can possibly prevent future blindness, so take the time to catch diseases before they become serious.